On August 5, 1949, a crew of 15 of the U.S. Forest Service's elite airborne firefighters, the Smokejumpers, stepped into the sky above a remote forest fire in Montana wilderness. Less than an hour later, all but three were dead or fatally burned in a "blowup," an explosive 2,000 degree firestorm 300 feet deep and 200 feet tall. 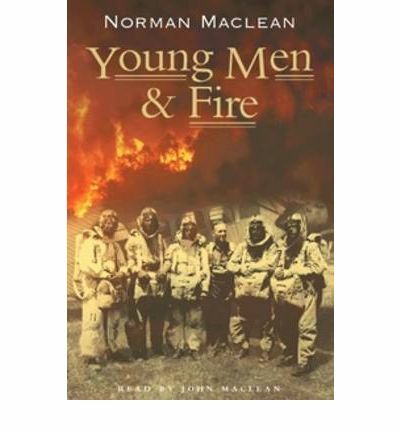 Winner of a 1992 National Book Critic Award, Young Men & Fire consumed 14 years of Norman Maclean's life. He sifted through grief and controversy in search of the truth about the Mann Gulch tragedy, then wrote about it in excruciating detail. The sobering story of the worst disaster in the history of the Forest Service also embraces the themes of honor, death, compassion, rebirth, and the human spirit. About the Author: NORMAN MACLEAN grew up in and around Missoula, Montana, where he worked in logging camps and for the U.S. Forest Service. He attended Dartmouth College and taught English for 46 years at the University of Chicago.